The Faculty of Management at UBC is bringing to Kelowna two influential speakers from the Canadian business and finance world for two special dinner events in November designed for the business community and Bachelor of Management students. Robert Sartor, chief executive officer of the Forzani Group, will speak on Nov. 17, and Jean Boivin, deputy governor of the Bank of Canada, will speak on Nov. 18. Both dinner presentations are at the Capri Hotel. "These are great examples of how UBC is able to bring internationally recognized speakers to Kelowna," says Ian Stuart, Associate Dean of the Faculty of Management and professor of supply chain management. "The series is designed for a broad variety of management disciplines including accounting, finance, human resources and marketing. These are just the first two with more planned for the new year." On Nov. 17, Robert Sartor will speak about building better brands. 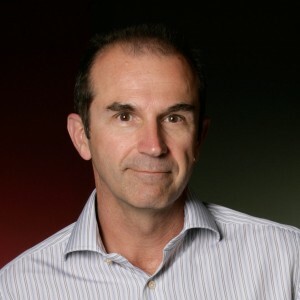 It's a topic he knows well -- the Forzani Group, Canada's largest retailer of sporting goods, has 334 operating corporate stores from coast to coast and 229 franchise stores primarily in Quebec. "He will give lessons learned in the trenches and valuable insights into building brands and business awareness," says Stuart. The Forzani Group's corporate and franchise banners include SportChek, Sport Mart, Nevada Bob's Golf, Athletes World, Sports Experts, and more than half a dozen others. Sartor has been CEO of the Forzani Group since 2003. A Chartered Accountant and graduate of Concordia and McGill Universities, Sartor's background prior to joining the company was primarily in the food business. Tickets are $50 for this event and are available for purchase online. To find out more contact Cheryl Scobie at the Faculty of Management (cheryl.scobie@ubc.ca – 250-807-9501). The Nov. 18 dinner presentation by Jean Boivin is co-sponsored by the CFA Okanagan Society. Boivin is a member of the Bank of Canada's Governing Council -- appointed deputy governor in March 2010. A noted Canadian economist who holds a PhD from Princeton University, Boivin will speak about the Canadian economy. "Jean Boivin has been an academic and author of an impressive array of books on economics, including at least one co-authored with another noted economist, Ben Bernacke, Chair of the United States Federal Reserve," Stuart notes. 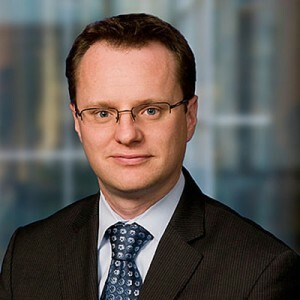 Boivin is one of two deputy governors responsible for overseeing the Bank of Canada's analysis of domestic and international economic developments in support of monetary policy decisions. As a member of the bank's Governing Council, he shares responsibility for decisions with respect to monetary policy and financial system stability, and for setting the strategic direction of the bank. Tickets for the Nov. 18 CFA/Faculty of Management dinner with Boivin are $50, and are available from the CFA Okanagan Society (www.membersocieties.org/okanagancariboo).